橋上 英宜, 延原 肇： ‘画像相似性を利用した高周波成分推定を伴う画像拡大,’ 電子情報通信学会論文誌(A), vol. J95-A, no. 3, pp. 320-322, Mar. 2012. B. Bede, H. Nobuhara, J. Fodor, and K. Hirota, ‘On Max-product Shepard Approximation Operators,’ Proc. of 3rd Serbian-Hungarian Joint Symposium on Intelligent Systems (SISY2005), pp. 101-108, Subotica, Serbia and Montenegro, August 31-September 1, 2005. H. Nobuhara, B. Bede, and K. Hirota, ‘A Fast Learning Method using Cost Matrices for Morphological Neural Networks,’ Proc. of 3rd Serbian-Hungarian Joint Symposium on Intelligent Systems (SISY2005), pp.149-156, Subotica, Serbia and Montenegro, August 31-September 1, 2005. H. Nobuhara, B. Bede, and K. Hirota, ‘Multichannel Representation of Non-Linear Wavelets and Its Application to Image Compression/Reconstruction,’ Proc. of IEEE International Workshop on Soft Computing Applications (SOFA2005), pp.172-178, Szeged-Hungary and Arad-Romania, August 27-30, 2005. B. Bede, H. Nobuhara, and K. Hirota, ‘Generalized Convex Combined Eigen Fuzzy Sets and Their Applications to Image Analysis,’ Proc. of IEEE International Workshop on Soft Computing Applications (SOFA2005), pp.227-230, Szeged-Hungary and Arad-Romania, August 27-30, 2005. H. Nobuhara, B. Bede, and K. Hirota, ‘On A Simplification of Non-linear Wavelets and Its Application to Image Compression/Reconstruction,’ Proc. of 2005 IEEE-EURASIP Workshop on Nonlinear Signal and Image Processing (NISP 2005) (CD-Proceedings), 19PM213-07, Sapporo, Japan, May 18-20, 2005. B. Bede, H. Nobuhara, I, J. Rudas, and K. Hirota, ‘Shepard Approximation of Fuzzy Input Fuzzy Output Functions,’ Proc. of The 3rd Slovakian-Hungarian Joint Symposium on Applied Machine Intelligence (SAMI2004), pp. 115-121, Herlany, Slovakia, January 16-17, 2004. H. Nobuhara, B. Bede, K. Hirota, and N. Wakami, ‘Flexible Design of Synthesis/Analysis Operations for Morphological Wavelets,’ Proc. of International Symposium on Computational Intelligence and Industrial Applications (ISCIIA2004) (CD-Proceedings), TA2C-3, Haikou, China, December 20 - 24, 2004. H. Nobuhara, B. Bede, and K. Hirota, ‘Generalized T-norm/S-norm Based Decomposition of Fuzzy Relation and its Application to Image Component Analysis,’ Proc. of AFSS2004 International Conference on Fuzzy Systems, pp. 21 - 25, Hanoi, Vietnam, December 15-17, 2004. H. Nobuhara and K. Hirota, ‘Fuzzy Relational Calculus Based Color Motion Compression/Reconstruction,’ Proc. of The Eighth International Conference on Control, Automation, Robotics and Vision (ICARCV 2004) (CD-Proceeding), WeA402-p1735, Kunming, China, December 6 - 9, 2004. B. Bede, H. Nobuhara, K. Hirota, A. DiNola, and V. Loia, ‘Max t-norm approximation operators and applications in image processing,’ Proc. of WSEAS Information Science and Applications, pp.1551 - 1556. Vience, Italy, November 14-17, 2004. E. M. Iyoda, T. Shibata, H. Nobuhara, Y. Hatakeyama, K. Katamoto, and K. Hirota, ‘Image Compression and Reconstruction Using Pai-t Sigma Neural Networks with Hybrid Evolutionary-Local Learning,’ Proc. of Joint 2nd International Conference on Soft Computing and Intelligent Systems and 5th International Symposium on Advanced Intelligent Systems (SCIS & ISIS 2004) (CD-Proceedings), THE4-6, Yokohama, Japan, September 21 - 24, 2004. H. Nobuhara, and K. Hirota, ‘Fuzzy Wavelets Based Color Image Compression/Reconstruction with Soft Thresholding,’ Proc. of The 6th IASTED International Conference on Signal and Image Processing (SIP 2004), pp.193-198, Honolulu, Hawaii, USA, August 23-25, 2004. H. Nobuhara, B. Bede, and K. Hirota, ‘Generation of Various Eigen Fuzzy Sets by Permutation Fuzzy Matrix and its Application to Image Analysis,’ Proc. of IEEE International Conference on Fuzzy Systems, Vol. 3, pp. 1715 - 1719, Budapest, Hungary, July 25-29, 2004. F. Di Martino, H. Nobuhara, and S. Sessa, ‘Eigen Fuzzy Sets and Image Information Retrieval,’ Proc. of IEEE International Conference on Fuzzy Systems, Vol. 3, pp.1385 - 1390, Budapest, Hungary, July 25-29, 2004. H. Nobuhara and K. Hirota, ‘Color Image Compression/Reconstruction by YUV Fuzzy Wavelets,’ Proc. of NAFIPS2004 (CD-Proceedings), TU29D1, Banff, Alberta, Canada, June 27-30, 2004. H. Nobuhara, E. M. Iyoda, B. Bede, and K. Hirota, ‘A Solution for Generalized Eigen Fuzzy Sets Equations by Genetic Algorithm and its Application to Image Analysis,’ Proc. of IEEE International Conference Intelligent Systems, Vol. 1, pp. 208 - 212, Varna, Bulgaria, June 22-24, 2004. A. Hassanien, Jafar M. Ali, and H. Nobuhara, ‘Detection of Spiculated Masses in Mammograms based on Fuzzy Image Processing,’ Proc. of 7th International Conference on Artificial Intelligence and Soft Computing (ICAISC2004) (Lecture Notes in Artificial Intelligence, Springer-Verlag series, vol. 3070), pp. 1002-1007, Zakopane, Poland, June 7-11, 2004. H.Nobuhara and K. Hirota, ‘Dual Fuzzy Wavelets based on Ordered Structure,’ Proc. of International Conference on Intelligent Technologies 2003 (CD-Proceedings), FPM1-MN1-3, Chiang Mai, Thailand, December 17-19, 2003. H. Nobuhara and K. Hirota, ‘Some Component Analysis based on Fuzzy Relational Structure,’ Proc. of International Workshop on Fuzzy Logic and Applications (WILF 2003)(CD-Proceedings), SCIP-7, Napoli, Italy, October 9-11, 2003. Y. Hatakeyama, H. Nobuhara, K. Kawamoto, and K. Hirota, ‘Correction Vectors for Dynamic Color Images under Multiple Luminance Conditions,’ Proc. of 4th International Symposium on Advanced Intelligent Systems (ISIS2003), pp.567-570, Jeju, Korea, September 25-27, 2003. M. Watanabe, H. Nobuhara, K. Kawamoto, S. Yoshida, and K. Hirota, ‘A Quasi-optimal Restaurant Work Scheduling based on Genetic Algorithm with Fuzzy Logic,’ Proc. of 4th International Symposium on Advanced Intelligent Systems (ISIS2003), pp.517-520, Jeju, Korea, September 25-27, 2003. H. Nobuhara and K. Hirota, ‘A Motion Compression Method based on Min S-norm Composite Fuzzy Relational Equations,’ Proc. of 4th International Symposium on Advanced Intelligent Systems (ISIS2003), pp.488-491, Jeju, Korea, September 25-27, 2003. M. Serata, K. Sakuma, Z. Stejic, K. Kawamoto, H. Nobuhara, S. Yoshida, and K. Hirota, ‘Efficient and User-Friendly Image Retrieval System based on Query by Visual Keys,’ Proc. of 4th International Symposium on Advanced Intelligent Systems (ISIS2003), pp. 451-454, Jeju, Korea, September 25-27, 2003. F. Dong, E. M. Iyoda, K. Chen, H. Nobuhara, and K. Hirota, ‘Automatic Parameter Tuning for Simulated Annealing based on Threading Technique and its Application to Traveling Salesman Problem,’ Proc. of 4th International Symposium on Advanced Intelligent Systems (ISIS2003), pp.439-442, Jeju, Korea, September 25-27, 2003. H. Nobuhara and K. Hirota, ‘Fuzzy Relational Calculus based Component Analysis Methods and their Application to Image Processing,’ Proc. of 4th International Symposium on Advanced Intelligent Systems (ISIS2003), pp.395-398, Jeju, Korea, September 25-27, 2003. E. M. Iyoda, H. Nobuhara, K. Kawamoto, S. Yoshida, and K. Hirota, ‘Sigma-Pi Cascaded Hybrid Neural Network and its Application to the Spirals and Sonar Pattern Classification Problems,’ Proc. of 4th International Symposium on Advanced Intelligent Systems (ISIS2003), pp.158-161, Jeju, Korea, September 25-27, 2003. T. Ohashi, H. Nobuhara, and K. Hirota, ‘A Document Ordering Support System Employing Concept Structure based on Fuzzy Fish Eye Extractions,’ Proc. of 4th International Symposium on Advanced Intelligent Systems (ISIS2003), pp.98-101, Jeju, Korea, September 25-27, 2003. H. Nobuhara and K. Hirota, ‘A Concept of Fuzzy Wavelets based on Rank Operators and Alpha-Band,’ Proc. of 4th International Symposium on Advanced Intelligent Systems (ISIS2003), pp.46-49, Jeju, Korea, September 25-27, 2003. H. Nobuhara and K. Hirota, ‘A Solution for Eigen Fuzzy Sets of Adjoint Max-Min Composition and its Application to Image Analysis,’ Proc. of 2003 IEEE International Symposium on Intelligent Signal Processing (WISP'2003), pp. 27-30, Budapest, Hungary, September 4 - 6, 2003. E. M. Iyoda, H. Nobuhara, and K. Hirota, ‘Translated Multiplicative Neuron: An Extended Multiplicative Neuron that can Translate Decision Surfaces,’ Proc. of IEEE International Conference on Computational Cybernetics (ICCC2003) (CD-Proceedings), Siofok, Hungary, August 29-31, 2003. H. Nobuhara and K. Hirota, ‘Eigen Fuzzy Sets of Various Composition and their Application to Image Analysis,’ Proc. of the 7th World Multi Conference on Systemics, Cybernetics and Informatics (SCI 2003) (CD-Proceedings), IV-192, Orlando, USA, July 27-30, 2003. H. Nobuhara, K. Hirota, W. Pedrycz, and S. Sessa, ‘A Motion Compression Method by Fuzzy Relational Equations,’ Proc. 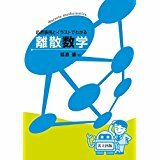 of IEEE International Symposium on Computational Intelligence in Robotics and Automation (CD-Proceedings), SP2-IV-1, Kobe, Japan, July 16 - 20, 2003. H. Nobuhara and K. Hirota, ‘Non-uniform Coders Design for Motion Compression Method by Fuzzy Relational Equation,’ Proc. of International Fuzzy System Association World Congress (Lecture Notes in Artificial Intelligence No. 2715), pp. 428-435, Istanbul, Turkey, June 29 - July 2, 2003. H. Nobuhara, K. Hirota, W. Pedrycz, and S. Sessa, ‘A Fast Decomposition Method of Fuzzy Relation and its Application to Electrical Signature,’ Proc. of 4th International Conference on Recent Advances in Soft Computing, pp. 133-134, Nottingham, United Kingdom, December 12-13, 2002. H. Nobuhara, W. Pedrycz, and K. Hirota, ‘Fuzzy Relational Compression: An Optimization by Different Color Spaces,’ Proc. of Joint 1st International Conference on Soft Computing and Intelligent Systems and 3rd International Symposium on Advanced Intelligent Systems (SCIS & ISIS 2002) (CD-Proceedings), 24B5-6, Tsukuba, Japan, October 21-25, 2002. H. Nobuhara, W. Pedrycz, and K. Hirota, ‘A Digital Watermarking Algorithm using Image Compression Method based on Fuzzy Relational Equation,’ Proc. of IEEE International Conference on Fuzzy Systems, pp. 1568-1573, Hawaii, USA, May 12-17, 2002. H. Nobuhara, M. Iyoda, Y. Takama, and K. Hirota, ‘Nonlinear Quantization Function Design for Image Compression Method Based on Fuzzy Relational Equation,’ Proc. of the Second Vietnam-Japan Bilateral Symposium, pp. 60-64, Hanoi, Vietnam, December 7-8, 2001. H. Nobuhara, Y. Takama, and K. Hirota, ‘Fast Iterative Solving Method of Fuzzy Relational Equation and its Application to Image Reconstruction,’ Proc. of 2nd International Symposium on Advanced Intelligent Systems, pp. 91-95, Daejeon, Korea, August 24-25, 2001. H. Nobuhara, Y. Takama, and K. Hirota, ‘Approximate Solution of Fuzzy Relational Equation and its Solvability Degree for Image Compression and Reconstruction,’ Proc. of The Fourth Asian Fuzzy Systems Symposium, Vol.2, pp. 858-863, Tsukuba, Japan, May 31-June 3, 2000. H. Haneishi, H. Nobuhara, N. Tsumura, and Y. Miyake, ‘Improved Wiener Reconstruction of Bioelectric Current Distribution,’ Proc. of SPIE's 42nd Annual Meeting, pp. 3117-3120, San Diego, USA, July 27-August 1, 1997. 延原, 廣田, ファジィ理論に基づく画像圧縮技術, p.189-188, 学術の窓シリーズ, 信号処理, Vol. 13, No. 3, pp. 189-195, May 2009. K. Hirota, S. Yoshida, H. Nobuhara, K. Kawamoto, N. Wakami, 'Internal State Estimation Using Multimedia Information,' International Symposium on Computational Intelligence and Intelligent Informatics (ISCIII'03), Nabeul, Tunisia, May 19-23, 2003. K. Hirota, and H. Nobuhara, and W. Pedrycz, 'Image Data Compression/Reconstruction by Fuzzy Relational Equation,' 6th International Conference on Neural Networks and Soft Computing, Zakopane, Poland, 2002.